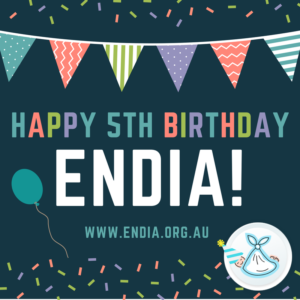 ENDIA is celebrating! In February 2018, the study turns 5 years old! Happy birthday to us all! Our birthday present was that over 900 babies have enrolled into the study during this time. Some of these babies are yet to be born. However, some of our longer term participants have just started their first year at primary school! If we know what causes type 1 diabetes, we can then find ways to prevent it!